Presented on stage by Sammy Chien at Ryeberg Live Vancouver 2014. 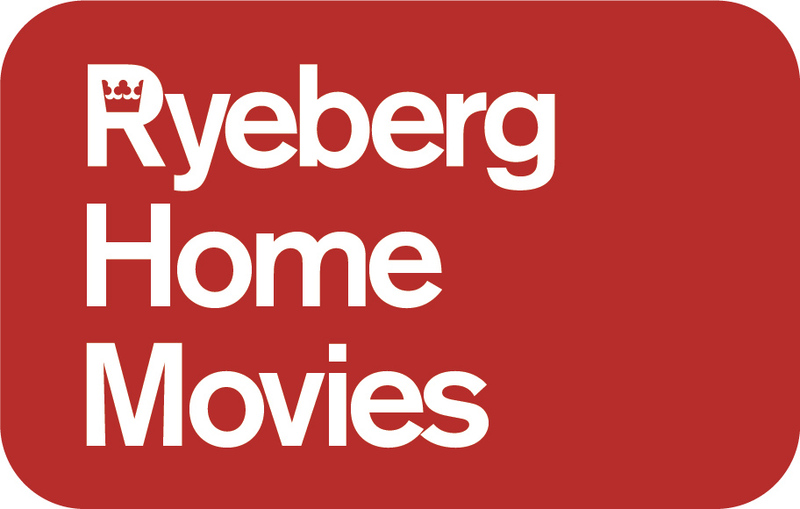 When I was first asked to participate in Ryeberg Live, I was in Beijing, where YouTube is actually blocked! I was quite amused by this irony. But when there are rules and restrictions, we as artists always seek ways to break them. There’s something called VPN that allows you to bypass this national internet security system in order to gain access to whatever’s out there on the world wide web. However, it does take a little bit of effort to make it work. Why break through the security system? Because it felt like valuable truths are being concealed. Rather than simply feeling frustrated, I thought it quite interesting and stimulating to confront such unfamiliar forms of censorship. I was on a research trip with the Beijing Modern Dance Company, it was my first time in China, a country so different from Canada or even Taiwan, and it worried and excited me at the same time. We performed everywhere in the villages, by the river, in temples, and got to connect with people who live far off the grid, who have never heard of internet. Even though these people had been deeply marked by the Cultural Revolution and Communist Rule, I couldn’t help but feel a purity, something primordial, that attached them to ancient ways of human life. I was torn between feeling pity for the villagers, and all of the modern world that they missed out on, and envy for the purity that I no longer had any access to. In Beijing, the capital of this huge communist country, I found my expectations and prejudices challenged. The artistic community was filled with a profound kind of excitement, as if having to push against a repressive higher power, provoked artists more towards progress and invention than mere frustration and fear. There is yearning for access to information, there is desire for freedoms I take for granted. To know what is still unknown. And something bigger is waiting to unfold. I celebrated so much joy and partied so hard in that city, and even on the very last night, I wanted more. I had so much more that I cracked my head open. I flew back to Vancouver to perform a dance piece with Wen Wei Wang, the choreographer. I was involved in creating interactive visuals, documentary film, live music and even performed a duet with this dance master on stage. It was a big step up for me, I’m not a dancer. On the opening night, I felt extremely excited and uneasy at the same time. Something new and impalpable seemed to be unfolding. The next day, I had an intense internal experience. I feel the walls start to compress, and electric currents or heat running through my body, from my feet up to my chest. My heartbeat rises and I feel like i’m running out of breath. Am I going to faint? Where is it taking me to? These questions are firing in my head. What? I am a mental patient! The moment the thought came into my head, the spatial compression started to creep in again. I looked down, took a deep breathe. Then I smiled. This is new… this can be quite interesting. I can be part of something that I’ve never experienced before. This might be a new and inspiring challenge for me that can enrich my art. I immediately called my good friend, Ryan Flowers, one of the best filmmakers that I know. He has been suffering from mental issues in the past 10 years. It’s all in your head, he said. He continues to comfort me by saying how I seem to be the main character in a film who’s fighting lots of bad guys but who still has got it together. He looked at me, smiled, and told me me that at least I’m conscious and my universe hasn’t really changed. I have never felt so empathetic and intimate with this kind of discourse, the discourse of mental illness. I’m finally part of a world that I was never even close with. In a way, art saved me from fear. Ryan has just made a charming documentary film that deals with mental illness. Compared to Jimbo, my challenges seem very pale. Yet, I took this film as a sign for me to explore and make a change in some way. I called one of my best friend Felicia, a fabulous dancer who I used to make fun of for showing signs of panic attacks in situations that made her nervous. First, I apologized for my ignorance, and then we shared our experiences of having panic attacks. I was impressed with how well she has dealt with it. She’s had panic attacks ever since she was a child. She suggested that I try doing yoga. Riding the bus on the way to yoga, quite unexpectedly, the panicky feeling started to creep in again. Especially when the bus passed over the bridge. The sound was amplified and I started to run out of breath. I took out the antidepressant and held it in my hand, and waited to see if the feeling would go away, but it continued to grow. I sent the pill down my throat. Everything seemed more glittering. Yet, I felt alone. Someone who cannot even take the bus. My social life was over. I longed for company. But the thought of company made me fear another panic attack. But I could embrace the glittering lights and go to sleep. Then, the next day, the lights went out. I was left with a jittering body and an empty head — hollow, like something had been taken out of me. I even had to change the music that i was listening to, from something like that, to this. I began to worry I had lost something vital to me. As if my experimental spirit and adventurous fire would start to dissipate and fade. I felt afraid but I didn’t let the fear take me away from my work. One day while dropping off video footage that I’d shot for Flygirl Productions, one of the biggest lesbian party producers, the co-organizer Mandy suggested that I look into something called Kundalini which is a kind of spiritual energy awakening, to see if it resonated with me. She said she frequently felt that she could leap or reach somewhere quite high and faraway, I felt similarly as well. Seems like it’s only our flesh that isn’t ready to make this happen yet. I went from my head to my body-mind. A new door opened. Kundalini is like having energy injected inside of your body, 10 times the voltage of what your body can handle. Let go of control. Face everyday more with curiosity than any expectation or control. Let events unfold. Most importantly, let your body move the way it wants to. Each time the panic visits, this energy starts to flow through my body in waves of different density and mass. I let it guide me. I try to utilize this energy that’s unfolding in my body to become a vehicle to see where it takes me. My body starts to move, my fingers articulate the growing energy. I feel that I start to come close to this veil between the real and the virtual, or some kind of imaginary world. A bright and warm transitory sound traverse from left to right and it seems to be forming images of abstract light and shapes that expand and diffract with the sound. I want to bring this enchanting celerity of sound, images and movement back to the real world. More boundaries have dissolved, a new artist in me is surfacing, a movement artist. We can maybe call this an interdisciplinary hallucination, or perhaps an artistic spiritual-opening. I found someone who studies the Chakra and I-Ching. He said he is able to sense people’s energy colour and foresee certain pasts and futures. We had a long conversation about spiritual practices. He asked me why do I think that I have such powerful energy? He started writing some numbers and connecting several dots together. It’s because of my past life: I was a top warrior for Guanyin (Guanyin is the Bodhisattva enlightenment being associated with compassion in East Asian Buddhism, also known as the Goddess of Mercy). He told me I was the leader of thousands of soldiers. He told me that I also have a very shamanistic wavelength. I would of become a shaman if I was raised in a temple. This conversation made me feel very delightful and I was now dying to go deep into spiritual practice in order to unlock this dormant power in me. Yet for some reason, I felt a bit unsettled. My mind was filled with intricate and entangled thoughts. That evening, I ran back to my studio even though I wasn’t sure what for. I opened the door and there was someone standing there. He had his back towards me. I didn’t recognize him until I moved closer and saw the side of his face smiling. I almost felt like I was looking into a mirror. Without any hesitation, I asked him if it was true about my past life. How can I go deeper into spiritual practice and cultivate this spiritual energy? He said: Why do you need to know about your past life or next life while you already have a whole present life to care about. He laughed and told me that I’m not ready for any spiritual practice. What I should do is walk for an hour everyday. He didn’t say much more, seems like he didn’t need to explain too much, or I didn’t need to know too much more. Maybe there are things that are not meant to be explained yet. I took a walk through the city. I did this everyday. I just walked and walked. A few days after I started feel less troubled, more grounded, more settled. I started to feel more like myself. But the only practice that I did was walking. What’s the line between spirituality and superstition? I don’t know. But I can say that the first step is just simply to be yourself and really believe in yourself, because we’re all spiritual by nature. However, I discovered that by moving, I am actually more still. If I am protected by this divine voice who restricts my attempts to gain knowledge that I’m not ready to perceive. I think again about the communist government in China, and its control over the mass media. Many people I spoke to in Beijing, told me that the Chinese government, with or without meaning to, is protecting its citizens from information they are not ready for. Could this be true? Could it be that having less knowledge of the world beyond the gates of censorship, allows people to have more ‘knowing,’ more ‘intuition’? How much do we need to know? What is gained by breaking through locked doors? What is lost by accepting what restricts us? I don’t know the answers yet. I know that I will keep walking. And not only I will keep walking, I’m going to start dancing. I found this really inspiring, thank you Sammy. We’re always looking for fixes to our troubles and putting labels on everything and it’s useful but really the best thing we can do is stay open to what’s happening and maybe there’s a remedy we hadn’t thought about. The moment seizes us. What is there to know? Much more than we can ever imagine, so isn’t it better to settle into that first knowledge of our ignorance and limitation? That’s the way we can grow and change. Cool videos! 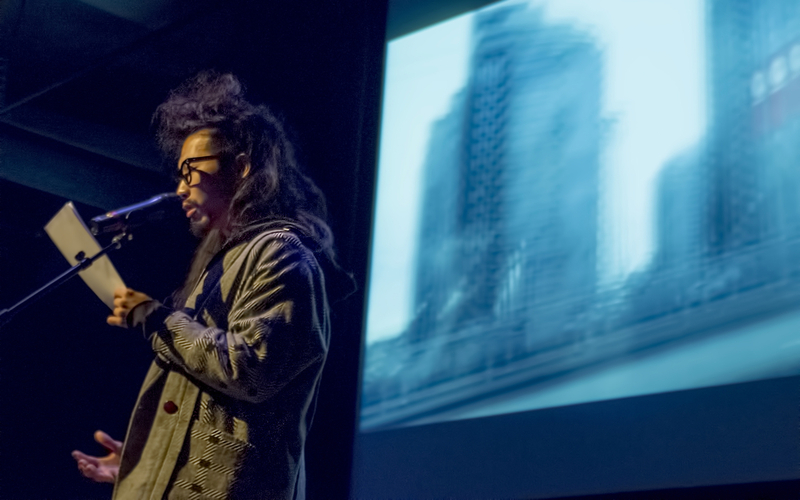 Sammy Chien is an interdisciplinary media artist who merges cinema, sound, new media and dance. He is a co-founder/artistic director of the Chimerik collective. His wide-ranging and often collaborative artistic projects, which include films, video installations, art exhibitions, and dance performances, have featured in Canada, Western Europe, and Asia including the Centre Pompidou Paris, the Museum of Contemporary Arts Taipei, and the National Centre for the Performing Arts Beijing. Sammy has also mentored or collaborated with community groups (low-income residents, gender and ethic minorities, youths) on projects that integrate art, science and technology. Sammy is also known for his DJing at art shows, underground parties, and concerts. Read more about Sammy here.